All the bits and pieces that make up a plant, from tiny plants to towering trees. 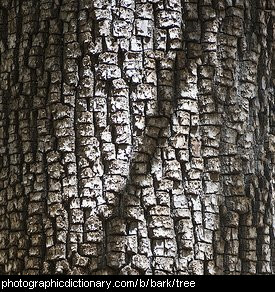 Bark is the outer layer of a tree or large plant. 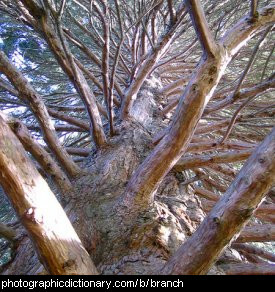 Many types of trees usually shed their bark once a year and grow fresh bark underneath the old. Insects like beetles and spiders like to live under loose bark. 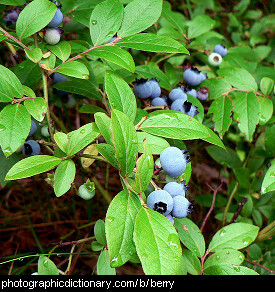 A culinary berry is any small, edible fruit, such as strawberries or raspberries. True botanical berries are defined by how the fruit was formed, and neither strawberries or raspberries are true berries. True berries include blueberries, tomatoes, capsicums, cranberries and grapes. 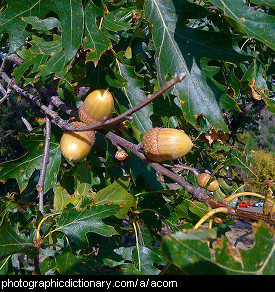 There are many other botanical berries that are not edible. All of these true berries have the fruit made from a single ovary with the seeds inside. A bloom might be a single flower, all the flowers on a plant, or the fact that the plant is flowering. 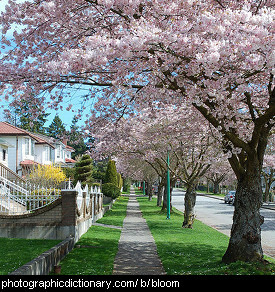 The trees in the picture are in full bloom. 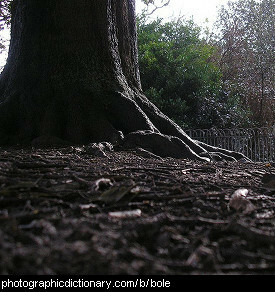 The trunk of a tree is also called a bole. The bole often refers to the lowest, widest part of the tree's trunk. 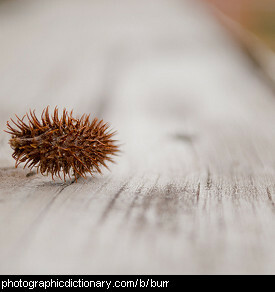 A bud is a point on a plant where something new is growing. Usually a bud is a place a new leaf is growing, but a flower that is just starting can also be described as a bud or flowerbud. 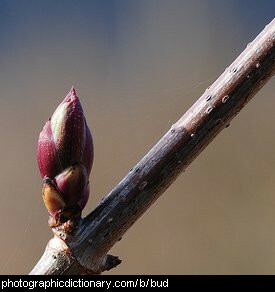 Deciduous plants start to bud as spring approaches. 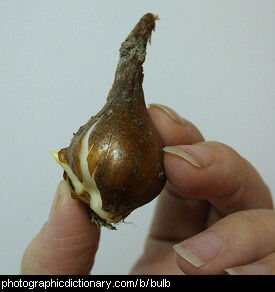 A bulb is a part of a plant that is usually below the ground, or partly below the ground. Bulbs are usually quite spherical but pointed at the top like a teardrop. Bulbs grow roots from the bottom and leaves from the top. Some types of plants that grow from bulbs are onions, lilies and tulips. Anything that has a similar shape to a bulb may also be called a bulb, such as the bulb at the bottom of an old fashioned thermometer.